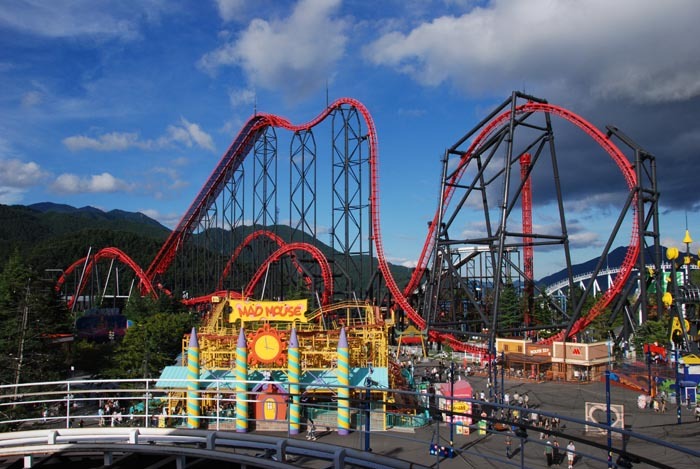 Eejanaika is a 4th dimension steel coaster located at the Fuji-Q Highland amusement park in Fujiyoshida, Japan. 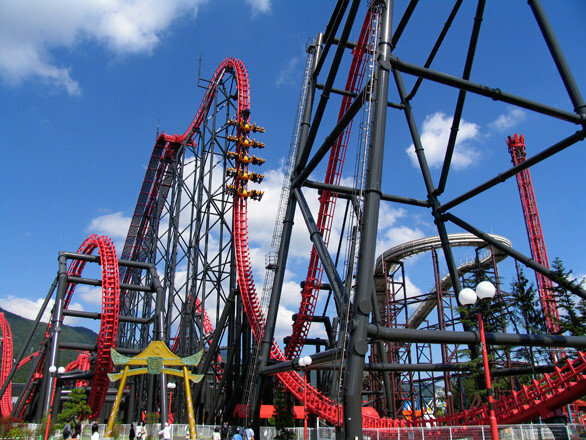 You might notice that the ride is very similar to X2 at Six Flags Magic Mountain in California. When comparing the two coasters, Eejanaika is faster, taller, and longer. 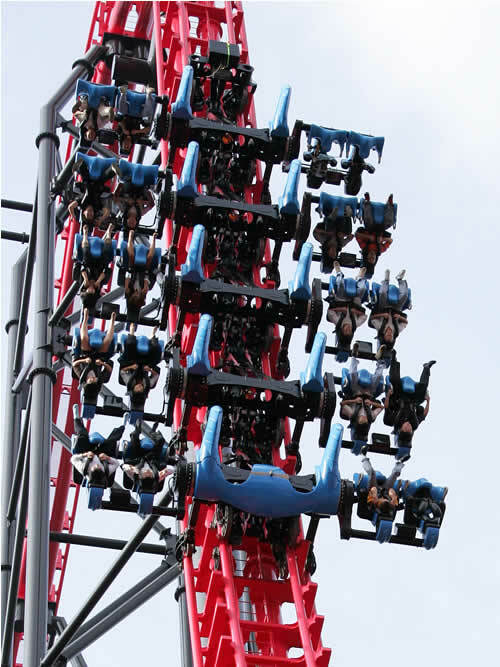 This coaster contains the most inversions in the world according to the Guinness Book of World Records. The seats can rotate forward or backward 360 degrees with the same design as the X2 using a rack and pinion gear mechanism. 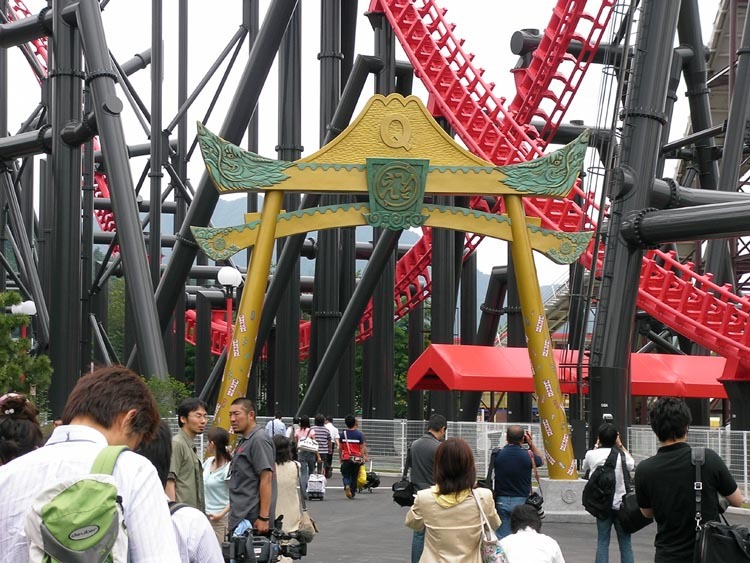 In Japanese the name of the coaster is written as – ええじゃないか, which means – Aint it great! Apparently the name written in Japanese has several different meanings. See the video down below for a spoiler of the ride! 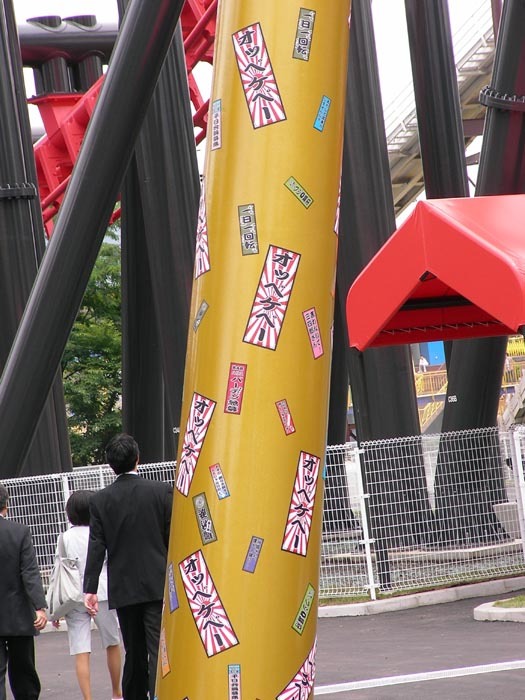 The photo you see here of a pole at the entrance has some really cool Japanese stickers that have been placed on it.